None of the varieties of Brunswick green was used on BR locomotives. The Railway Executive published details in 1949 of the new BR standard liveries – Locomotives, Carriages and Wagons – in a supplement to the Railway Pictorial and Locomotive Review, a periodical published alternate months. In July 1949, the well known model railway supplier A W Hambling & Co was permitted under Railway Executive copyright to publish a reprint of the above supplement for 1/6d. This document shows the full lining and lettering details for each rail vehicle type together with descriptions of the colours to be used. That for “selected express passenger steam locomotives” reads as follows “Dark Green lined Black and Orange” i.e. the official BR colour description is Dark Green, and no mention of any British Standard specification. This is the only definitive statement I was able to trace during some 10 years in Eastleigh Locomotive Works between 1953-63. It should be remembered that at that time, class 7P (= 8P now) steam locomotives were to be painted “Light Blue lined Black and White” and diesel main line locomotives “Black with Aluminium lining and Bogies”. In those days, paints were usually mixed by the individual works paint shop foremen, working from sample panels of each colour, supposedly the approved original, which were circulated as needed. The results for each works therefore depended on the individual perception of shade accuracy by the paint shop foreman at that works. That varied shades was confirmed to me on finding sample panels from the 1920s for three differing versions of SR Locomotive Olive Green – the Eastleigh version, the Ashford version and that produced by Eastleigh for the North British Locomotive Company which was building Maunsell ‘King Arthur’ class locomotives. There are other similar panels on display at the National Railway Museum showing that each main line company followed the same procedures. Paint shop practices did not change until BR introduced a central supplies purchasing system across all regions. 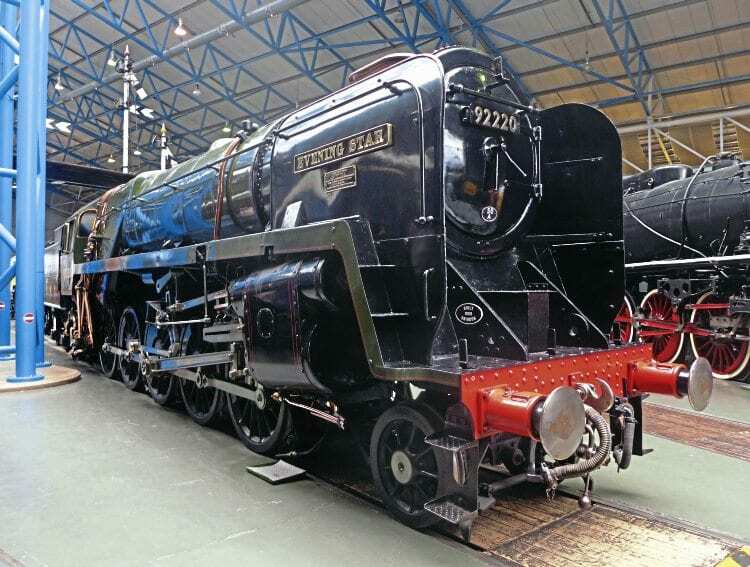 later included in the relevant British Standard specification, BS224, as displayed on the paint can shown at the NRM for Flying Scotsman. The supplier, T R Williamson of Ripon, confirmed to the Braunton restoration team that they still had, and worked to, their copies of the BR specifications as supplied with their first BR orders in the 1950s for ‘Dark Green’. If you were a railway modeller, then Humbrol Brunswick Green was the only readily-available shade of paint that could masquerade as BR Loco Green – and for GWR Loco Green – yet each was clearly different in reality. This is probably where the habit of describing both colours as Brunswick Green stems from, being perpetuated in the main railway and model magazines over the years, often in editorials which should have known better. Read more Letters, Opinion, News and Features in Issue 231 of HR – on sale now!